Not every setting calls for asphalt and not every budget has room for it. 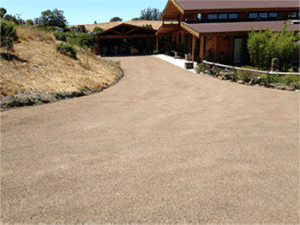 Chip seal is a high-quality alternative to asphalt that offers an exceptional surface with a natural, earthy appeal. To create the look you desire, your surface can be left with loose gravel or be swept for a smoother effect. 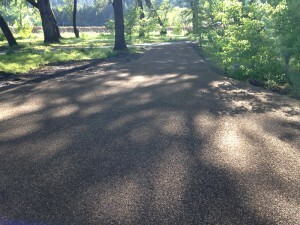 Chip seal comes in a variety of colors and is less expensive than asphalt. With a little maintenance, under normal circumstances, chip seal provides a visually appealing countryside look that lasts three to five years. Learn how chip seal can be a great alternative to asphalt. See our Chip Seal projects for examples of how it can be used.